Amazon’s Echo is a smart speaker, which means it’s a speaker that does more than simply play back your music. Sure it can play music, but that’s barely even the tip of the iceberg. Harnessing the power of Amazon’s virtual assistant Alexa, Echo can tell you about the weather, create shopping lists, help you in the kitchen, control other smart products like lights and televisions, and a whole lot more. At its heart, the Echo is a basically two speakers and some computer hardware wrapped up in a sleek black cylinder. It comes equipped with Wi-Fi, which it uses to connect to the Internet, and you can also connect it to your phone via Bluetooth. Without access to the internet, the Echo can’t do much, unless you have the Amazon Echo Auto. In that case, the capabilities are a little different, but with a home Echo, you can stream music from your phone via Bluetooth, but that’s about it. In fact, there are actually better wireless speakers out there for the money if you can’t, or won’t, connect the Echo to the Internet. When an Echo is connected to the internet, that’s when the magic happens. Utilizing an array of built-in microphones, Echo listens for a ‘wake word’ to call it into action. This word is Alexa by default, but you can change it to Echo or Amazon if you like. What Can an Amazon Echo Do? When you wake Echo up (with a certain spoke phrase), it immediately starts listening for a command, which can be given in natural language. That basically means you can talk to the Echo, and it will do its best to fulfill whatever request you make. For instance, if you ask it to play a specific song or type of music, it will attempt to do so using the available services. You can also ask for information about the weather, news, sports scores and more. Due to the way that Echo responds to natural speech, it's almost like talking to a person. If you thank Echo for helping you, it even has a response for that. If the idea of talking to a speaker doesn’t appeal to you, Echo has an associated app for both Android and Apple phones and tablets. The app allows you to control your Echo without talking to it, configure the device, and even view recent commands and interactions. Can Echo Eavesdrop on Conversations? Since Echo is always on, always listening for its wake word, some people are naturally concerned it might be spying on them. And while it technically is, the reality actually isn’t all that scary. Echo does record whatever you say after it hears its wake word, and that sound data can be used to improve Alexa’s understanding of your voice. This is fairly transparent though, and you can easily view or listen to all of the recordings that an Alexa-enabled device has made of you. Information about recent commands is available via the Alexa app, and you can view a more complete history by accessing your Amazon account online. Since Echo is a smart speaker, entertainment is the most obvious use for the technology. You can ask Alexa to play one of your Pandora stations, for instance, or ask for music from any artist included in Prime Music, if you have a subscription. Support is also built-in for streaming services like iHeartRadio, TuneIn, and others. Google’s music subscription service is conspicuously absent from Echo’s lineup, which is understandable since Google offers its own competing smart speaker device. However, you can easily get around this obstacle by pairing your phone to an Echo via Bluetooth and simply streaming that way. Echo can also access audiobooks via Audible, read your Kindle books, and even tell jokes if you ask. The Echo even has some pretty cool Easter Eggs, if you know what to ask. Beyond the entertainment factor, Echo can also provide a wealth of basic information on the weather, local sports teams, news, and traffic. If you tell Alexa the details of your commute, it can even warn you about specific traffic issues you might run into. Echo can also make to-do lists and shopping lists, which you can access and edit via the smartphone app. And if you already use a service, like Google Calendar or Evernote, to keep track of to-do lists, Echo can handle that as well. While Echo has a lot of functionality right out of the box thanks to Alexa, it’s also extensible via skills, which third-party programmers can use to add functionality. For instance, both Uber and Lyft have skills you can add to Alexa that let you request a ride without touching your phone. Other fun and useful skills you can add to your Echo include one that allows you to dictate text messages, another that allows you to order pizza, and one that will even tell you the best wine pairing for your meal. If you’re already on board with the idea of talking to your own virtual assistant, then there’s good news. You can also control everything from your thermostat to your television in the same way. Echo is capable of acting as a hub to control various other smart devices, and you can also connect it to certain third party hubs that, in turn, control even more devices. 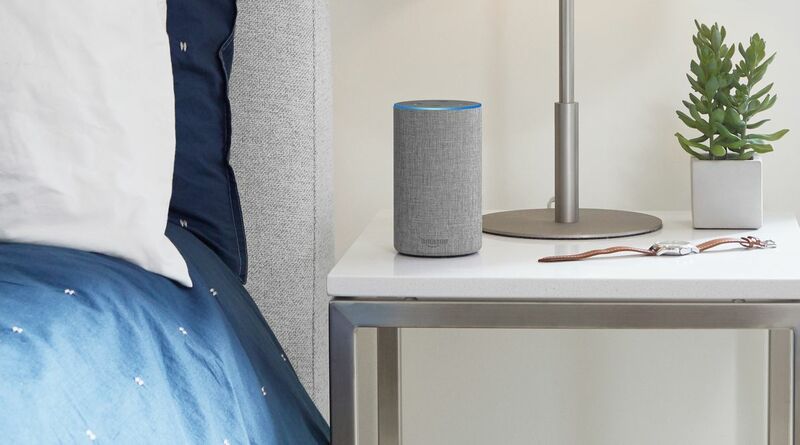 Using an Echo as a hub in a connected home is a little more complicated than asking it to play your favorite music, and there are a lot of compatibility issues to worry about. Some smart devices work directly with Echo, many require an additional hub, and others won’t work at all. If you are interested in using an Echo as a smart hub, the app includes a list of compatible devices and the skills to go along with them.